Passed by this booth. At first I thought their ammunition was just another jacked hollow point with a rubber ball inside. Apparently, their rounds are hollow and filled with Tungsten powder. Tungsten being a very heavy material. From what I could understand, the impact is powder so it doesn’t overshoot. But because of the weight of Tungsten it makes a big wound channel. Anyways it made me curious enough to share. PS – I tried to bring these to you as they occurred. However, AT&T’s service was rather poor to non-existent. Russian Ammo Depot goes up in flames. Not sure what this means for the price of 7.62×39 and 7.62x54r. Governor Schwarzenegger signed into law Assembly Bill 962. This bill enacts draconian ammunition registration. Requiring vendors and FFLs to keep records on all ammunition sales. It also bans internet and mail order sales. All in the name of safety and stopping crime. Of course since criminals do not obey the law, they’ll just drive to Nevada and buy their ammo there. Then distribute amongst their friends. Number of crimes prevented – zero! However, the definition of ammo is very loose. Including magazines, clips, reloading supplies. I have contemplated some way of letting the Governator know that this was just wrong. Back when the 50 round limit was proposed, I had the idea to ship the governor 51 rounds of ammo (or perhaps just bullets so as to dissaude any argument of having mailed a governor explosives). This past week I saw something that I have not seen in over 6+ months. In fact, something I had not seen since the year 2008. I was able to pick up 5 boxes of the .45ACP. Which cleaned out my Walmart’s stock. But I had little guilt in lieu of the fact that I have not been able to buy any .45 ACP in over half a year – even checking several Walmarts regularly on a monthly basis in both Pennsylvania and Connecticut. I also picked up two 100 round boxes of the Federal .223 for $40 each. And a box of the Winchester Supreme Elite .38 Special for $19.95. Which is a really good price for decent personal defense ammunition. This is Winchester’s new bonded personal defense ammo, which is supposed to ensure expansion by welding the copper jacket to the lead. As I did not have any personal defense ammo for our Ruger GP100 chambered in .357 Magnum. I am now of the opinion the 500 rounds is the minimum quantity one should own for a given firearm that they shoot regularly. By regularly, I define it as any firearm you shoot 4 or more times in a year. N.U.G.U.N. stockpile (arsenal as the media would like to call it). While some of those numbers may seem excessively high to those unfamiliar with the shooting hobby. Let me assure you, it’s really not. Especially if you engage in any form of competitive shooting. Our small local shooting league’s 6 week series require 300+ rounds of ammo. That doesn’t even include what you might expend during practice. There are three of these league tourney’s a year, which equates to approx. 1,000 rounds. Just plinking with friends can easily burn through a few hundred rounds of ammo. So while the above quantities may seem extreme; they equate to maybe a year’s worth of ammo for the semi-casual recreational shooter. I also have small quantities of premium personal defense ammo in .45ACP, .38 Special, 9mm, & .380. I don’t really count these in the tallies. If a non-shooter is trying to fathom the quantities of ammo, thinking “Why would anyone need 1,000 rounds of ammo.” Understand that such large quantities of ammo are for practice and sporting activities, and do not reflect any form of threat or danger. Target ammo differs from premium personal defense ammo in both design and cost. If you asked someone how many rounds of personal defense ammo they have; you’ll likely get a much much lower figure. One that may seem more reasonable to the conflicted mind. A good way for the non-shooter trying to understand the gun community, is to think about how many glasses (actual glass) they own. Then compare it to how many plastic cups they buy from Costco for the 4th of July and other summer BBQs. You know what I am talking about – those packages of 500 red plastic cups. Now if someone asked you how many glasses you had, and you replied 500 or even 1,000. They might think that was cooky. But if you explained that you had about dozen or two glasses, but 500 disposable plastic cups. No one would look at you strangely. Likewise, a recreational shooter may have 500+ rounds of target ammunition, but only a box or two of personal defense ammo (approx 20-50 rnds in a standard box). It’s really not crazy. It’d be nice if the media and reporters did a little research to understand the matter. It’s funny (and sad) when we in the gun community read some article in the newspaper declaring such and such man had an arsenal of more than 1,000 rounds of ammo. Especially when they mentions a 22 caliber rifle. As .22LR ammunition is commonly sold in 550 round boxes at Walmart for $10-$20. Two boxes equates to the media’s 1,000+ arsenal. It’s really just ignorance and lack of due diligent research on the part of the media – or deliberate sensationalism. Gun Show – low turnout? Rece/Depre-ssion kicking in? This past Saturday I attended one of our large area gun shows at the York Fairgrounds. Didn’t pick up any firearms. But did pick up a couple of knives. Including a beautiful peacock titanium-oxide colored Kerkshaw as a birthday gift for my wife. What was interesting to note was that the turnout was very low. The past couple of shows it was practically standing-room only. This time the show was sparse. One dealer I know who sold 30+ guns a day at the last show, had only sold 9 as of Saturday afternoon. Is the recession/depression kicking in? With the current administration seemingly hellbent on destroying the economy. Perhaps not many of us have the free $$$ available to purchase any firearms. And it irks me when someone is buying up all the ammo only to sale it at jacked up prices. When you’re buying the $40/100 rnd box of .223 Federal and selling it for $55/box. That’s rude…oh, and guess what – I refuse to buy anything from your table. Now some may say that such is just capitalism. I disagree. Capitalism is Walmart bringing a product for a cheaper price. Buying all the stock just to resell is disingenuous. I believe such to be rude, selfish and immoral. To those who think it is not, than consider whether you’d feel the same about food. If there was a food shortage, do you think it’s right to buy all the available stock from a store and then resell it at exhorberent rates. Doing so is rude to the community. I haven’t been able to practice shooting my primary carry firearm in about 4 months. I’ve not been able to find ammo. And yes, it pisses me off when I find out the reason I can’t find it is because some fat twit is buying it all and creating further scarcity beyond what truly exists. 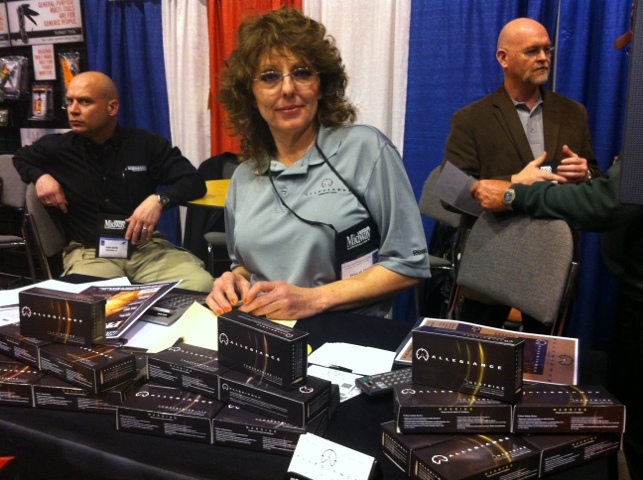 Women of Caliber has done a great introductory post to the world of ammunition. What is a bullet versus cartride. And all the terminology that will allow you to keep the snide retorts away. Well, or that’s about how the media would portray the arrival today of 800 rounds of surplus Czech 7.62x54r ammo for my Mosin-Nagant. When it’d be far more accurate to say 800 rounds for an antique WWII bolt-action rifle similar to the average hunting rifle commonly used today. The fact that the media always leans toward the frightful portrayal of arms at every turn does not necessarily mean they are biased. It’s quite possible their just greedy SOBs out to make a $$$ any way they can…even if it requries scaring the elderly and soccer moms. That said, regardless of whether the motivation is from bias or greed. I would term either a condition of poor character on the media’s part. Also interesting is the box that arrived is labelled 7.62×59. At first I was very confused as my order was for x54r. But did find a thread talking about this surplus ammo from Czech. Many presume it is the .308 (corrected thanks to Chris) but that is in fact 7.62×51 NATO. Of further interest, one of the threads commenting has a mention by a poster of having purchased 800 rounds for $69 back in 2007. Which is about 1/2 what I paid for it. As a nu user of guns I hear tales of when just a few years ago you could buy a box of 9mm for $6-$8. How times have changed. So this month I took out a little savings from my IRA to invest in an asset unlikely to depreciate. Namely ammo. My intention was to pick up a case of .223, a sardine tin or two of 7.62x54r for my Mosin-Nagant. And some 45 ACP. And maybe split a case of 9mm or .357 Magnum with a friend. Well, I did get my sardine tin of 7.62x54r from a local dealer at the York Gun Show for $99. I eyed the cases of .223 Remington he had, but my withdrawal check had not arrived yet. A few days later it arrived and I went back to the store to buy a second tin and some of the .223 Remington. ALL GONE!!! So I went to several online sites. Most of which were all out of standard .223, 45 ACP, 9mm, etc. I eventually bought a case of Fiocchi .223 Remington at $410/case. A little bit more than I really wanted to pay. I also ordered another 800 rounds for my Mosin-Nagant for $172 taxed & shipped. I’ve stopped at a number of different local Walmarts on several occasions. The 100 round White Box Winchester .45ACP ($30/100), the Blazer Brass .45 ACP ($15/50), Federal American Eagle .223 ($40/100) and most of the lesser stuff I buy all OUT OF STOCK. The entire nation appears to be OUT OF STOCK on ammo. I did purchase some auxiliary items I needed from MidwayUSA.com (namely a tactical Mini-14 stock, cleaning rod, cleaning supplies, few books, etc) as I had a birthday coupon that expires on Friday. It’s almost easier trying to find silver bullion than it is ammo. And if you collect silver or gold, you know that while prices have been down in recent months availability has been low. Anyways, here is a site that tries to collate a number of the online stores for best ammo prices. One of the key components of winning a war, is knowing your enemy. Most of the wars we have lost were wars in which we did NOT know our enemy. We’re involved in a war, and I do not mean Iraq or Afghanistan. I mean right here in the good ol’ US of A. We’re in a war for our inherent rights and liberties. We’re at war for our freedoms of privacy, speech, religion, as well as our inherent right to defend the well-being of our families. Religion,…it’s demonized in colleges, forbidden in schools, blamed for the world’s problems. While religion has a messy track record, a quick look at atheist regimes like China and the former Soviet Union show clearly that it holds no monopoly on travesty. 2nd Amendment under siege. This year the anti-2nd Amendment groups lost a major battle. But the war is far from over. Those groups have honed their tactics, they’ve learned their lessons from the last decade and they’re sharpening their tools. Many have resorted to guerilla tactics. (Sure, the NRA gets ripped on for having a hired spy inside anti-gun groups. 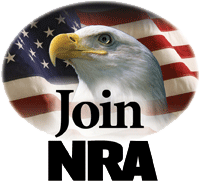 But those same anti-gunners created an entire organization, the AHSA, for the sole purpose of generating propaganda. Read the President’s blog at the AHSA. And then find one blog post that doesn’t have either of these words (“Obama”, “NRA”). Make no mistake, we’re in the midst of an ideological war. And if we’re not careful and diligent we will find ourselves prisoners of that war. It is very important that we know our enemies. Pick our battles wisely. And also realize where the enemy is making an attempt to outflank us. One such attempt by those who oppose our 2nd Amendment rights is to attack ammo instead of guns. They’re trying to ban ammo by banning lead. They’re pressing for micro-stamping and other technologies that are both costly and non-viable. In the process mandating that ammo that is not serialized be criminalized.